While I'm between serials... 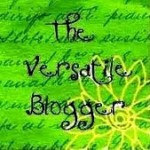 I've been awarded the Versatile Blogger award again, this time by the lovely folk over at In Case of Survival. If you're into you're post-calamity scenarios then ICoS is there for you, particularly if you like your doomsday with a large dose of irreverent humour. They leave no apocalypse unturned, whether you're worried about zombies, what you can eat in the wild, if you want to know what place knitting has, post-civilisation, or what today's books, movies and games can tell you about the inevitable wasteland of the future. They also publish the occasional apocalyptic flash fiction. The first ever of which was my very own Ragestorm Requiem. Civilisation has collapsed and the gods walk the earth once more. Zombies in the old west. A delirious hallucination of a world where death is not the worst you can wish for. I keep trying to push myself, and try new things, so at the moment I'm experimenting with serials. 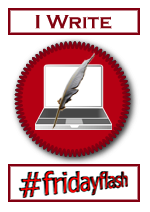 My 6-part fantasy, Godstorm, has just finished (part 1) and this Friday my new serial, Fifteen Feathers, starts.